On February 5, 2019 Vine Howard Tallwhiteman-Newholy went to home to the other camp. Meehaohtse (Flie’s in Sight) Vine was born on March 10, 1982 to Ernest Newholy Sr. and Corrine Tallwhiteman at the Crow Agency, MT. He was named after his grandfather Russell Tallwhiteman Sr. He graduated from Lame Deer High School Vine also attended Chief Dull Knife College and Sinte Gleska University in Mission, South Dakota. Vine was a member of the Elk Society, he was a faster and a singer. 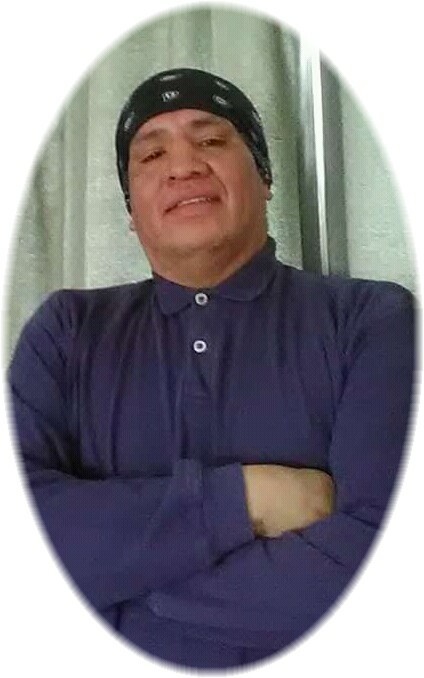 He would always find his way to a drum and sing along side Ernest JR., Vine resided in Mission, South Dakota for awhile where he was apart of a drum group called Lecawakan “New Holy” composed of his dad and brothers. Vine was always happy and would cheer you up if your were sad, he had a kind and generous heart. He would find ways to help you out even if he wasn’t asked, Vine recently started to travel and visit family in Montana and South Dakota. He would smile at you, chuckle and tell a joke even though it wasn’t funny you would still laugh. Vine met love of his life and mother of his sons Carissa Whitewolf, Burton and Devin Tallwhiteman. Carissa remained close friends with Vine as he moved back to Mission, SD to spent time with his dad before his passing. He would also talk about his sons with people and tell them how much he loved and missed them. Vine is survived by his sons, Burton and Devin Tallwhiteman, Daughter Shar-Rae Starving Bear. Sisters, Sharla Medicine Flying, Rhea, Erin and Terri New Holy. Brothers, Ernest Newholy Junior, Rusty Tallwhiteman and Kaden Walksnice. Uncles: Russell Tallwhiteman JR, James Tallwhiteman, Allen Clubfoot. Aunts: Rita, Limana, Johanna Redneck, Clare Clubfoot, Adline Fox, Cassandra Sand Crane(Alex) and Sharon American Horse. Grandfather Leonard American Horse and grand mother Susie Wilsey. He was related to many in Montana and South Dakota, please forgive us if we did not mention your name. Your now with you mom Auntie Coreen T.W.M. So sorry for this tragic loss of your loved one. I don’t know him but know people love him. My condolences to his family. I hope happy memories bring them comfort in time. It was so sad to hear of his passing. He was a friendly person who always acknowledged those he knew. He will be missed. Travel well over the Milky way Vine. Sorry to hear about vine he was a friend of mine growing up and a neighbor!! Prayers for ur journey home brother ! Prayers for sharla , rusty , and kaden gonna miss u bud!! Sending condolences to the family,so sorry to hear,our prayers are with you all. Toksa ake kola! We’ll sing around the big drum again, tell your pops I said Hau! Condolences to the Family..
Rest in peace Vine. You we’re always a good friend to me. I couldn’t believe it when I heard it. Another good man gone, when there so hard to come by. Thank you my friend. Love and prayers for you and your family! So sorry to hear of Vine’s passing. He would always call me Miss Emma and was a very polite and respectful young man. Prayers for his family, they have lost a good young man, father, uncle, and brother. Sending Prayers & Condolences sorry for your loss, my grandson loved singing with you, EJ & Dew. So very sad to hear of Vines passing. Just too young. My condolences esp. to Sharla and Rusty and kids. TO THE FAMILY OF VINE TALLWHITEMAN, THE NORTHERN CHEYENNE CHIEF COUNCIL EXTEND THEIR CONDOLENCES AND PRAYERS FOR STRENGTH DURING THIS MOST SAD, SORROWFUL AND MOURNFUL TIME FOR THE LOSS OF A BELOVED LOVE ONE.